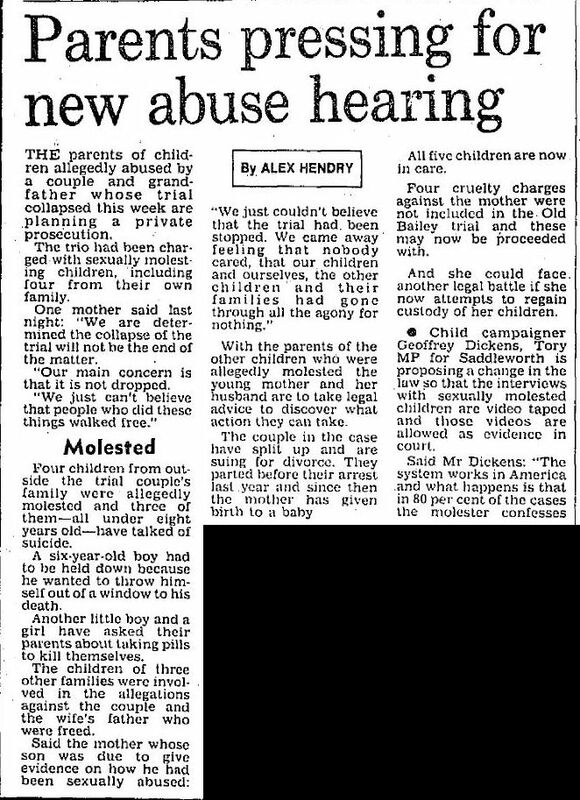 In September 1987, an Old Bailey child sexual abuse trial collapsed after a 9 year old girl broke down in the witness box, having been forced to face her parents for the first time since their arrest. 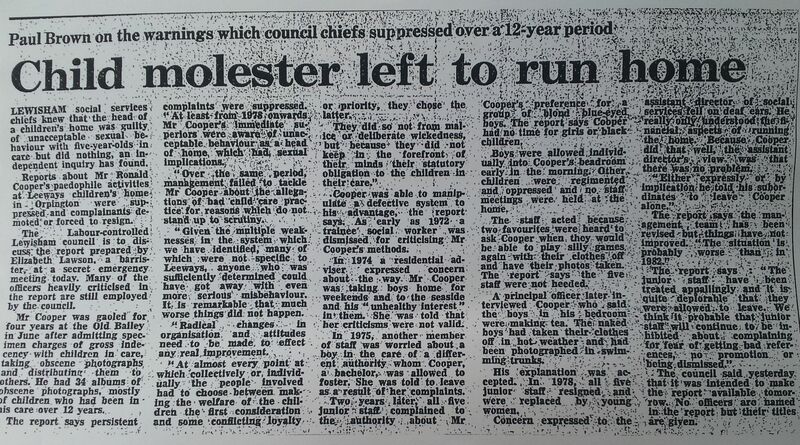 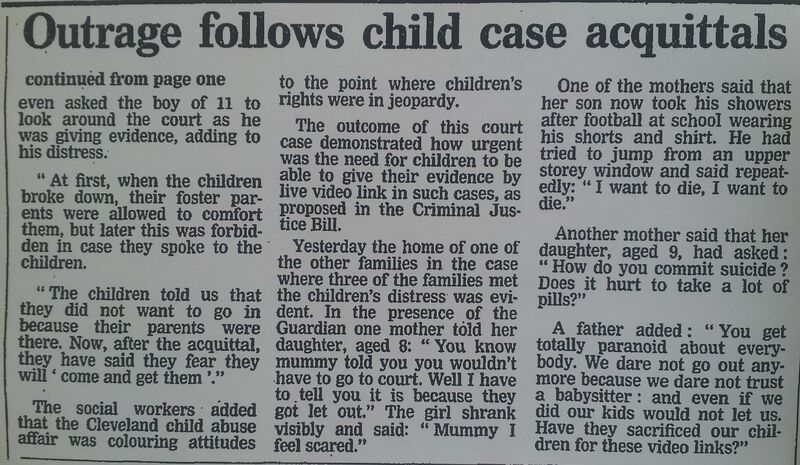 The girl and her three brothers and sisters, aged between six and eleven, along with at least nine other children, were alleged to have been subjected to horrific abuse by their parents, their grandfather, and a network which included ‘at least three inmates at a nearby hostel for disturbed young people with low mental ages’. 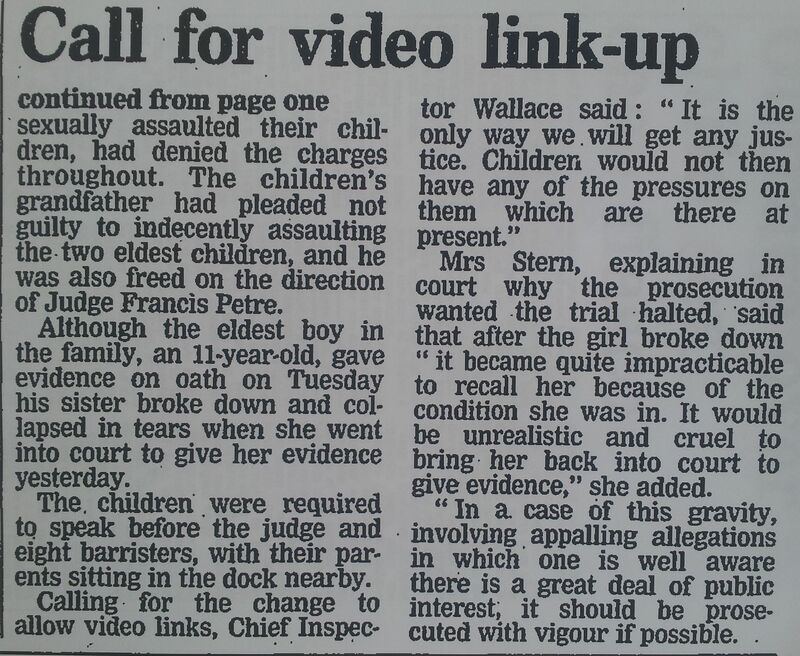 Judge Francis Petre said that the girl’s breakdown had caused ‘insurmountable difficulties’, and ordered the jury to find the parents not guilty. 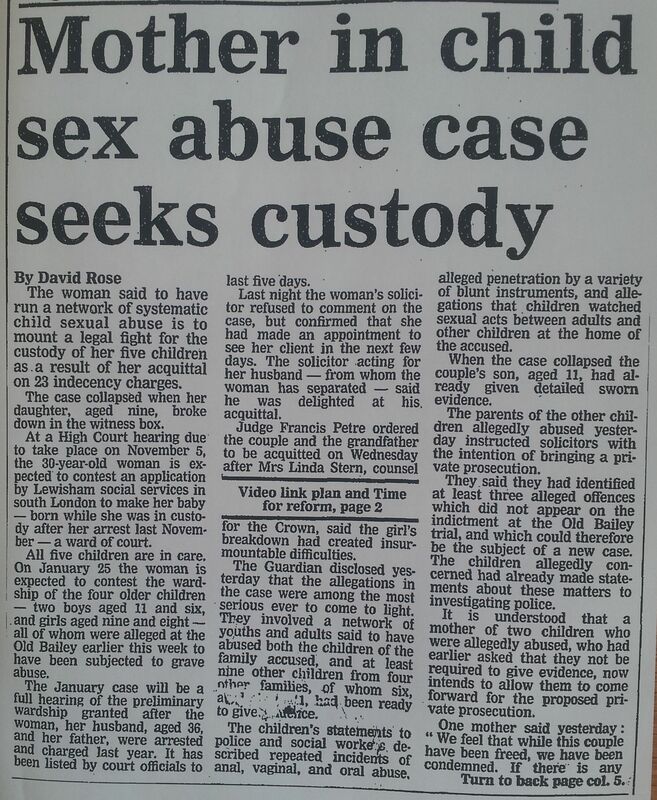 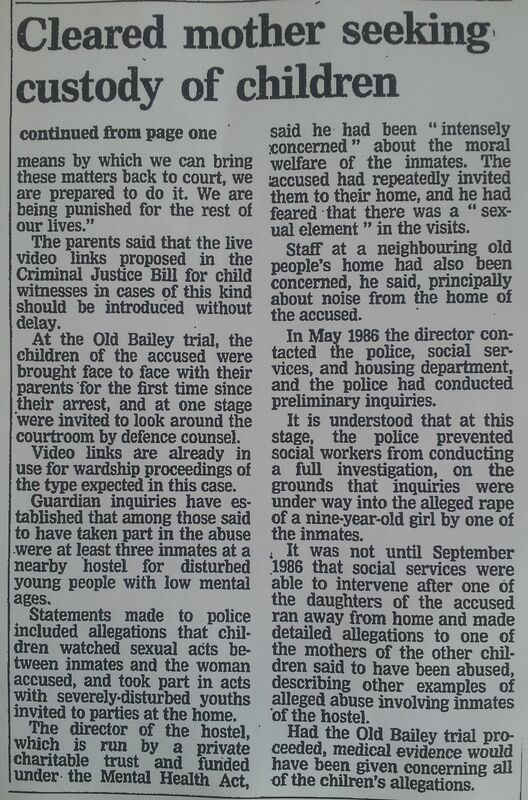 The trial took place at the same time as the Cleveland case, where Stuart Bell MP, with help from the Daily Mail, attacked the doctors who had diagnosed sexual abuse, whilst protecting a group of ‘innocent parents’ that included convicted paedophiles. 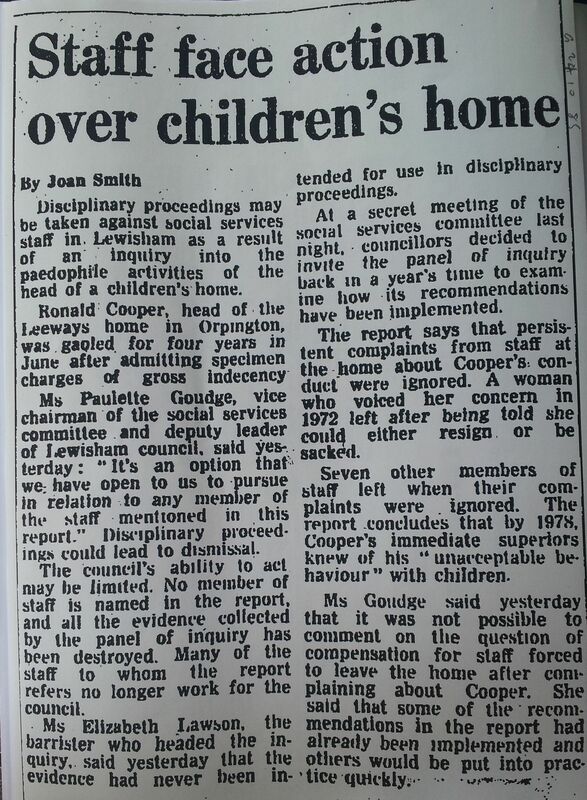 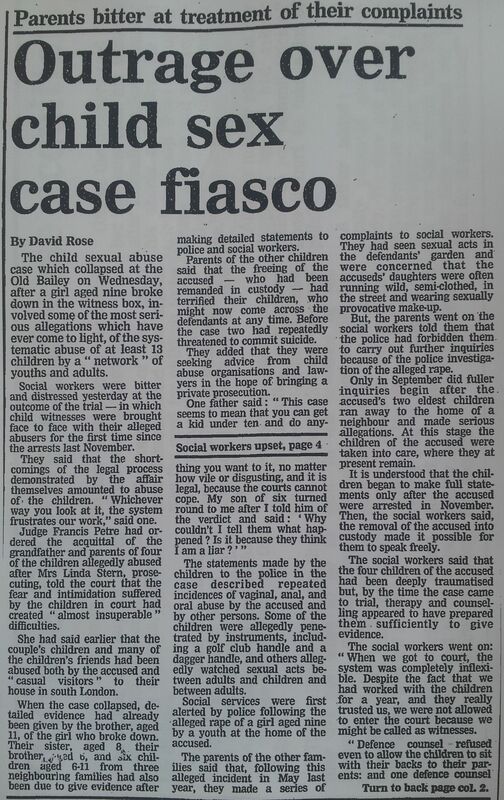 One of the Lewisham social workers said the Cleveland child abuse scandal was “colouring attitudes to the point where children’s rights were in jeopardy”. 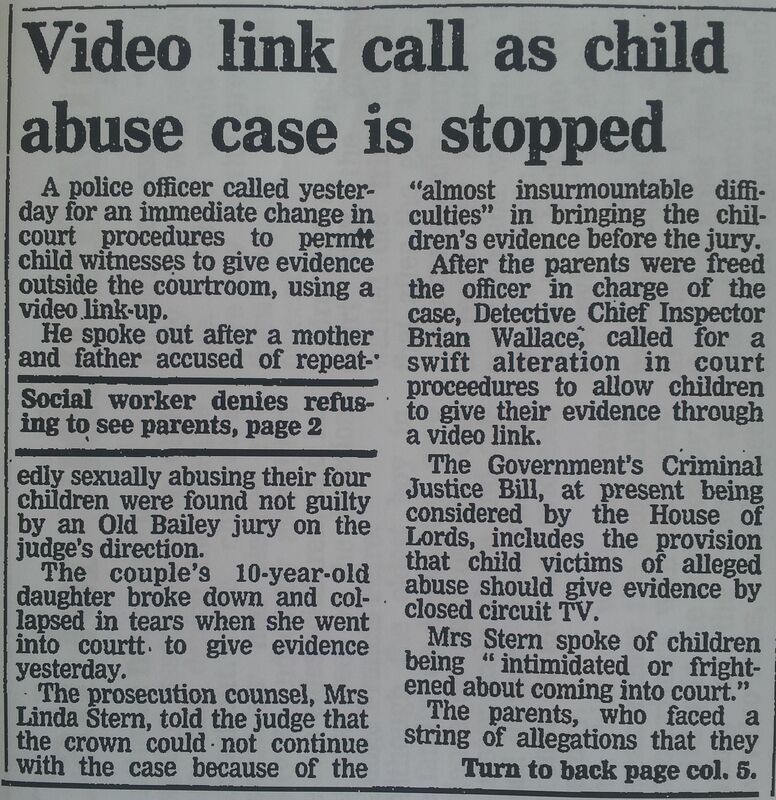 After the trial collapsed, the accused mother applied to Lewisham council to regain custody of her four children. 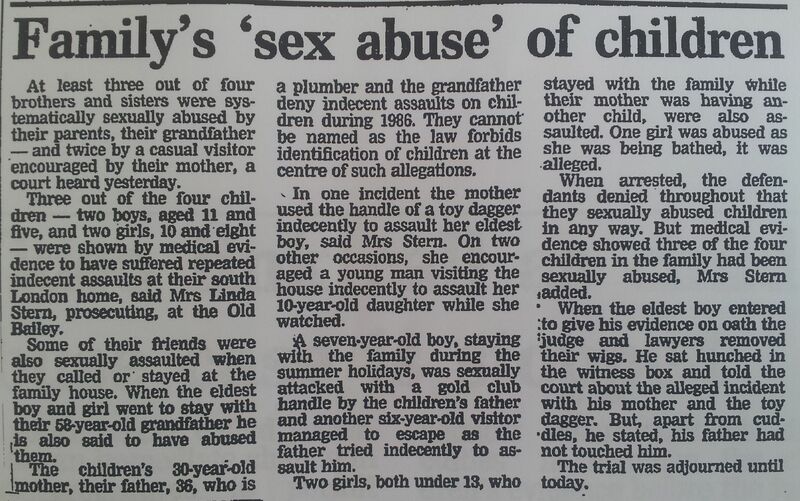 She had given birth to a fifth child, which had also been taken into care.